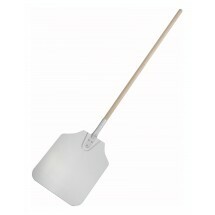 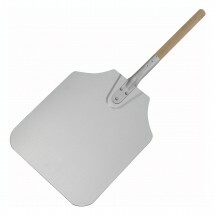 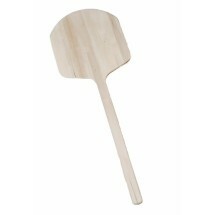 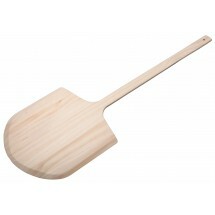 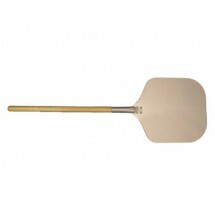 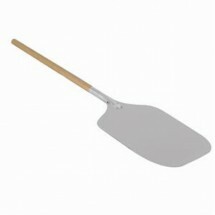 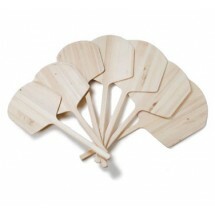 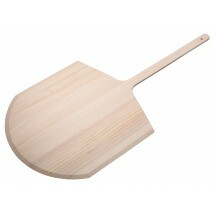 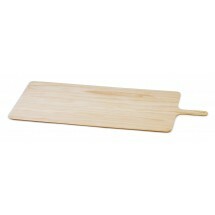 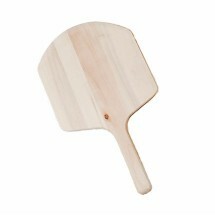 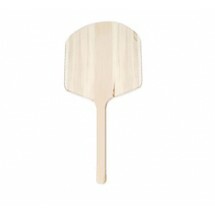 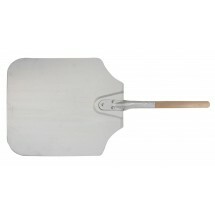 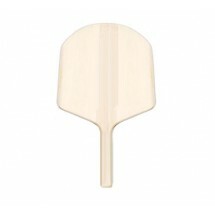 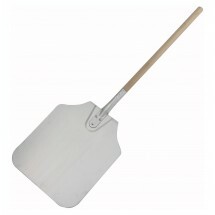 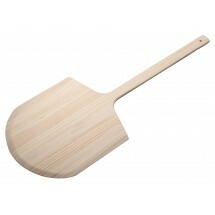 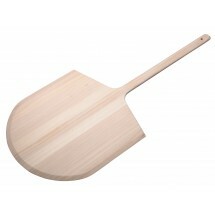 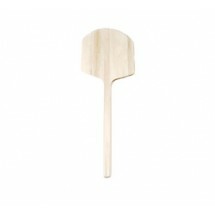 Easily lift and manipulate pizza pans in and out of your commercial pizza oven with a pizza peel. 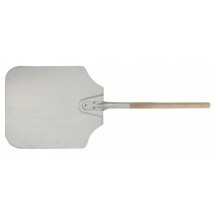 Available in aluminum or wood, our pizza peels assist your pizza chef when maneuvering pizzas inside the pizza oven and onto the counter while helping to avoid staff oven burns. 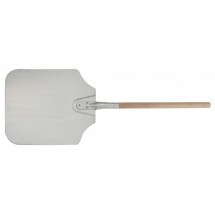 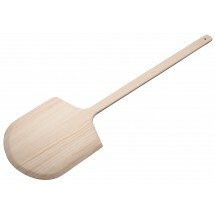 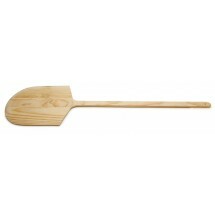 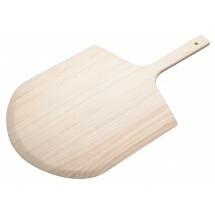 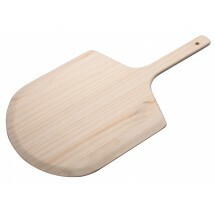 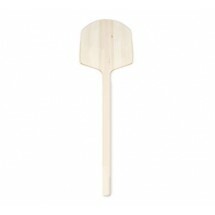 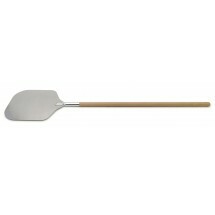 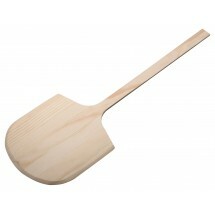 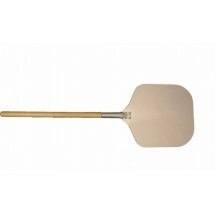 The long handle and wide sturdy blade, help to support pizzas during transport and provide a smooth surface for constructing pizzas if needed. 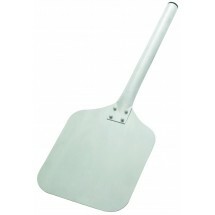 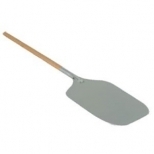 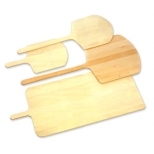 We carry pizza peels in various blade sizes and handle lengths, to meet the demands of your pizza oven and the sizes and styles of pizza that are served in your pizza shop.